It was built with an online platform. I never liked it but was glad all the same that I had an online presence. But there and then, I got my fingers burnt. Summarily, my website crashed after beginning to make some impact. So you see you need some basic knowledge to be able to go around these “auto” tools. In fact, I had my first online job from this website. Then it crashed all the same so that’s all history now. 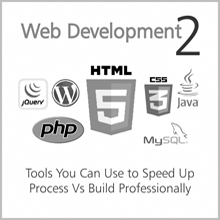 Let’s consider some online web development tools today. As the name implies in all clear literal terms, they help you manage your digital content. A computer application that supports the creation and modification of digital content. It supports multiple users working in collaboration. From another source, to put simply, a content management system (or website building platform) is a user-friendly platform for building websites and managing your own online content, instead of using a bunch of loose HTML pages. 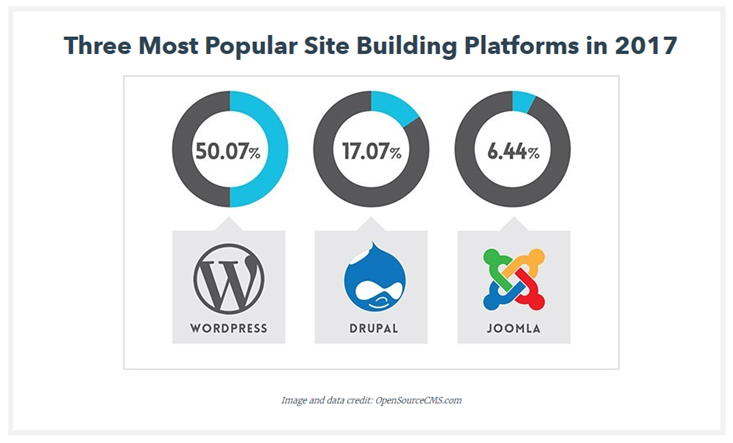 There are different types of CMS available today like Drupal, Joomla, Magento, etc but the most popular and widely used is WordPress –see illustration. The one major difference between WordPress.com and WordPress.org is who’s actually hosting your website. With WordPress.org, YOU host your own blog or website. WordPress.org is where you’ll find the free WordPress software that you can download and install on your own web server. WordPress.Com is a free platform where you don’t need a host but your website url looks like this yourwebsitename.wordpress.com. So it’s dependent on WordPress platform and you have limited control on what you can do. Statistics from W3Techs shows that “53.2% of the websites use none of the content management systems that we monitor. 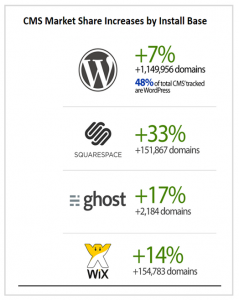 Again BuildWith shows a clear CMS market share increase for WordPress in total domain installation as seen on the diagram. So it’s quite clear now why we focus on WordPress. Websitesetup further gives us reasons why we need WordPress over Website Builders. 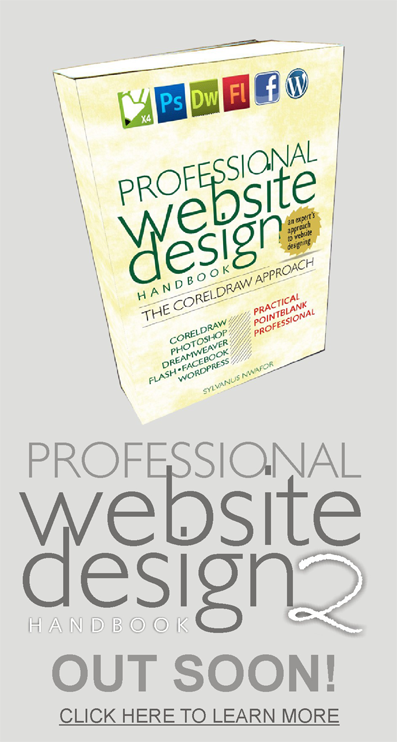 Now, let’s consider some website builders as analyzed by Robert Mening, founder, Websitesetup.Org. Custom Built from Scratch: Do people really care about this anymore? The article further shows that it takes quite a lot of time, effort, resources to come up with, in this instance, a WordPress theme considering all the complexities and compatibilities you may face especially with browsers. We all know that some clients may not be patient when time turns luxurious. Prime Design Solutions presents the fact that your branding will be much stronger when a site is designed to fit you, rather than trying to get a template to fit your brand. Therefore, the single most important point about a custom-built website is that your site is designed and built, specifically, to support your established brand in a consistent way. Before we end this, let me show you an introductory video I did. It shows the tool. Whether you’re building websites from scratch; using a DIY like Wix; using a framework like Bootstrap; using a CMS like WordPress or whatever means you employ, it all depends on ensuring you meet up with what the client wants –making sure he or she is satisfied by meeting their objectives. It is contingent on our initiative as website designers and developers to know what works best for whatever scenario we face at any point in time. Discretionally, you know what to do to achieve whatever you want within whatever stipulated periods you have –ofcourse as agreed by both parties. Are there other web development tools you know that combines speed, professionalism, gives the developer full control and, above all, makes customers truly happy with what you produce? Again, what is your favourite web development tool? I really enjoyed reading this article and I advice anyone reading my comment to take his time to really read this article it will really help you. That’s GREAT ENCOURAGEMENT FOR ME.